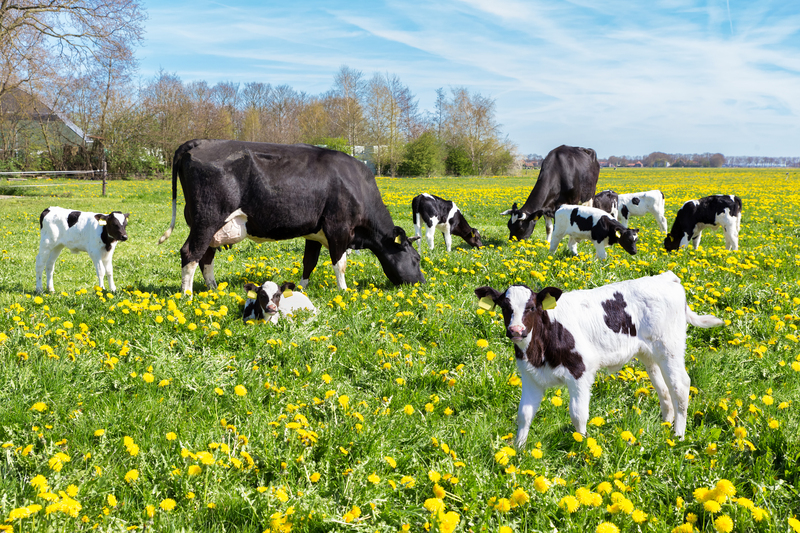 For a dairy farmer, it is crucial to increase milk yields to grow the income graph, which he can achieve by providing good quality feed to the cow. Lactating cows require a balanced diet to produce milk, maintain good health and body. No matter how good is the breed, without proper feed and management, milk production is difficult. The quality and quantity of milk produced by the cow are a reflection of feed and how the feeding is done. vitamins, protein, water, and carbohydrates in sufficient amounts that keep the cow healthy and energetic. The feed should not contain toxic substances and be digestible so that the essential nutrients will be absorbed in the body. Green Fodder is important for Dairy Cattle! Green fodder is one of the essential nutrient sources for cattle. It is beneficial for milk production but only if you provide good quality green fodder that contains high nutritional values. While giving green fodder to cows, farmers should avoid giving crop residues that have lost green colour as they will be poor in energy, minerals, protein and cannot encourage milk production in the cow. Let’s check out a quick guide on various types of green fodder crops that you can cultivate in your farm to provide a proper nutritionally balanced diet to your cattle and enhance milk production. It is a quick growing crop that can be grown in warm summer climate and on all types of soils. This fodder crop is used for grazing, hay making and green feeding. It’s a dual purpose crop, the green mature pods are used for human intake and the remaining fodder is utilized as cattle feed. Cowpea crop can help to yield a 6-7 kg milk/day without any other supplement. The fresh early leaves contain crude protein 18.0%, crude fibre 26.7% and ether extract 3.0%. The consumption of early cowpea gives 59.0% total digestible nutrient and mature fodder 58.0%. It comprises 1.40% calcium and 0.35% phosphorus. Maize is one of the best annual crops of Asian countries, grows on bit acidic and neutral soils. Like cowpea, it is a dual purpose crop. This nutritional green fodder is a great source of carbohydrates. It is specifically apt for silage making. It gives the cow 60.0% total digestible nutrients and 8-10% protein. Maize grains have trypsin inhibitor. Sorghum is a popular crop in most of the part of North India. It grows in any type of soil, however, planted in loam soil comparatively gives more yield. Sorghum is a non-maintenance form of crop, containing 4-5% of protein; some of the varieties such as Sirsa 20 and S. almum have 8-10% protein. These varieties are profitable for the farmer as constitute a maintenance ration. They contain around 58% total digestible nutrients. Sorghum comprises cynogenic glycosides. In monogastric animals (horses & pigs) the lower PH available in the stomach helps to remove the enzymes that transform cyanogenic glycosides to poisonous prussic acid. As compared to monogastric animals, ruminant animals (sheep, cattle) are much prone to prussic acid. Soybean is popular in Asia as an oil-bearing seed. For a proper growth, it needs well-drained loam soil to sandy loam soil. It is rich with 13.0% & 31.3% crude protein and crude fibre, respectively. Soybean is a productive ration, when fed as an exclusive fodder, it can support to 6 kg milk yielding per day. It contains lectin, urease, globin, and trypsin inhibitor. Pearl millet is cultivated for human consumption as a grain as well as fodder in India, Africa and Asia. It grows in arid and semi-arid regions. Fully grown and fresh pearl millet includes crude fibre 36% and crude protein 2.3%. Some new hybrid varieties and A1/3 give good quality of grain production and milk yielding fodder. Green fodder can be the best feed for all grazing animals. It should be given to them in small portions such as not more than 2kg at once, combined with roughages. Good quality feed and proper care of dairy cattle are essential for flourishing dairy business.